Students at Charles Helmers Elementary debuted their school-wide art installation, a collection of wings based on artist Colette Miller’s famed Global Angels Wings Project. 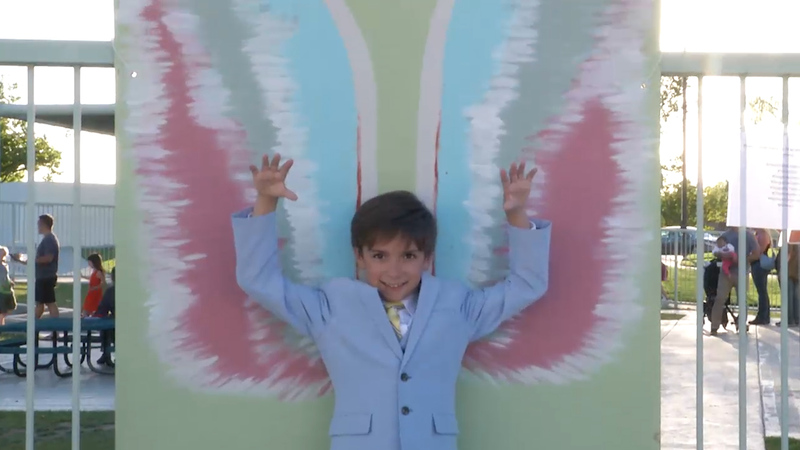 The wings, which were initially created as street art in Los Angeles, are human-sized public art, and become interactive when people take photos with, and thus become part of, the work. Miller has now painted the wings all over the world, and on Thursday the students at Charles Helmers presented their tribute to the artist’s project by displaying their own wings around the campus.